San Francisco put on a show for me. I saw her across the bay, from the great road that bypasses Sausalito and enters the Golden Gate Bridge. The afternoon sun painted her white and gold – rising on her hills like a noble city in a happy dream. A city on hills has it over flat-land places. New York makes its own hills with craning buildings, but this golden white acropolis rising wave on wave against the blue of the Pacific sky was a stunning thing, a painted thing like a picture of a medieval Italian city which could never have existed. According to city columnist Herb Caen, the Steinbecks arrived in San Francisco on Wednesday evening, Oct. 26, 1960. They socialized with John’s friends and stayed at the posh St. Francis Hotel downtown through Sunday. He was interviewed in his suite on Oct. 28 by Curt Gentry, a freelancer for the San Francisco Chronicle’s book section. 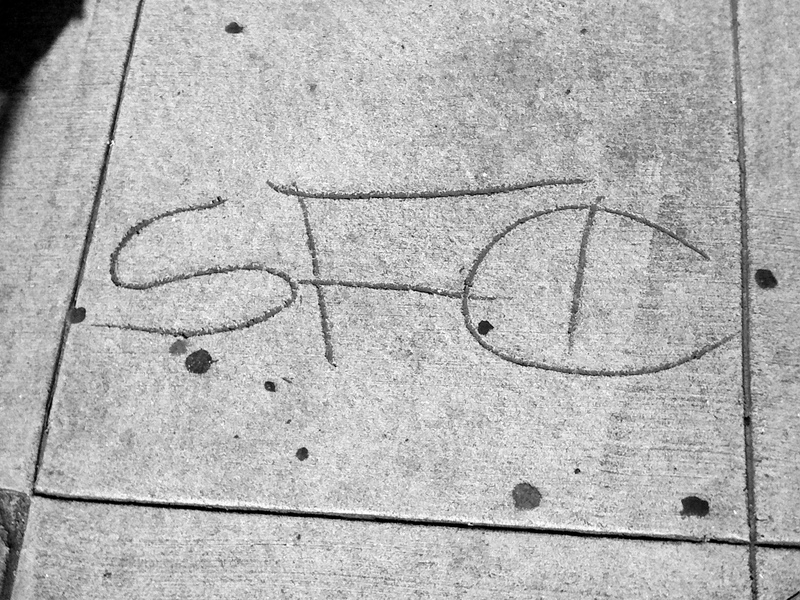 San Francisco did nothing special to seduce John Steinbeck. She has put on the same lovely show he described so well in “Travels With Charley” for millions of people who were not already in love with her, as Steinbeck was. Thousands of tourists, day-trippers, photographers, hikers and bicyclists from around the world enjoy the sight of San Francisco from the hills above the north end of the Golden Gate Bridge every day. While I killed a week in the Bay Area revisiting Steinbeck sites and watching the Giants play the Rangers in the World Series, I went to the top of the Marin Headlands. I had been there at least 20 times since 1974. It was always a treat and never the same. Details of light and color differ wildly from season to season, day to day, even hour to hour, depending on the whims of clouds, fog, wind and rain. Sometimes you can hear the hum of the bridge traffic far below, sometimes you can’t even see the bridge. It’s an absurd panorama, a superior example of man and nature showing off their greatest engineering works and collaborating at their best – at least until the same tectonic violence that created all that natural beauty destroys it. The wide-angled view of the city and the bay and the islands and the mountains and the towering bridges that tie them together has not changed since Steinbeck took his stunning verbal snapshot. From afar San Francisco still looks like the same place. It has the same tourist attractions that made it world famous as a place where it’s simply great to be – fabulous views in every direction, the Golden Gate, Alcatraz, cable cars, terrifyingly steep streets, Coit Tower, Chinatown, Fisherman’s Wharf, fog, beaches, parks, good food and restaurants. But 50 years have brought dramatic changes, and they’ve not all been for the better. Republican bitching notwithstanding, it’s not because it’s become America’s most politically liberal city. Or that its percentage of gays, immigrants, Asians and Latinos is much higher than in 1960. Or even that it’s overrun with computer geeks. It’s that San Francisco exacts such a cripplingly high price on anyone who wants to live there. America’s most beautiful and visitable city is much more crowded with people and especially cars than in 1960. Its home prices and rents are obscene, beyond the reach of not only the working class but also the middle class. Its parking shortage is chronic, its parking enforcement sadistic. The city’s infamous Skid Row, where in Steinbeck’s day squalid flophouses provided cheap rooms for the city’s indigent and street drunks, is history, wiped out in the 1970s by urban renewal. But slum clearance, as usual, only moved the problem elsewhere. By 2010 almost 10,000 homeless and/or crazy people lived on downtown sidewalks and in shelters, an intractable civic embarrassment and tourist turnoff that cost city taxpayers $200 million a year. From his description, Steinbeck didn’t drive to the top of the Marin Headlands, where you can wander around the ruins of coastal defense forts, look down on container ships squeezing under the Gold Gate or risk your life peering over the grassy cliff to see the surf foaming against the shore 800 feet below your feet. Most likely, he cast his loving gaze from Vista Point, the popular scenic lookout at the north end of the Golden Gate Bridge. Essentially level with the bridge deck’s six lanes, 200 feet above the icy bay, Vista Point was already open in 1960. Its parking lot/viewing area was like an international block party the afternoon I was there. Half my time was spent taking pictures of couples from Australia, Florida, France, Japan and Berkeley – with their own cameras – so they could prove they were together in San Francisco. That’s it for San Francisco. Steinbeck’s next paragraph is about the politics of Monterey County, “where everyone was a Republican” including his family. But in the nonfiction world, Steinbeck had no intention of zipping past his favorite city without partaking of its pleasures. He spent four busy days downtown, staying at the handsome St. Francis Hotel in Union Square. Apparently, booking a room in San Francisco had been difficult even for him because of conventions. If scenes cut from the book’s first draft can be believed, Elaine made several fruitless calls ahead to hotels from roadside pay phones before they landed a suite at the St. Francis, where Caruso, Fatty Arbuckle and Hemingway had once been regulars and Steinbeck was a familiar face. In the deleted scenes, Steinbeck described arriving with Elaine via U.S. Route 101 and the Golden Gate Bridge. After getting lost for a while, he found his way to the St. Francis downtown. Now the Westin St. Francis, it has undergone many cosmetic changes since 1960. But in 2010, when I prowled its halls and stairways, it still had dark wood, heavy rugs, mirrored ceilings, monstrous chandeliers and a two-ton oak shoeshine stand. Everything else – the floors, the back steps, walls – was made of marble. Steinbeck wrote that he parked Rocinante at the luxury hotel’s entrance – and just left it there, where it was in the way and attracting the wrong class of attention. He went straight to his hotel room and jumped in the bathtub with a whisky and soda at his side. He really enjoyed sitting in bathtubs with whiskies and sodas. In the cut scenes Steinbeck purred that the spacious suite was “pure grandeur.” He was pleased to find no Formica, no plastic, no cheap ashtrays in the St. Francis, which in 1960 was already old, prestigious and, as he admitted, “outmoded” and “trapped in an ancient and primitive way of doing things.” He wasn’t complaining about the hotel’s old ways. Eating in the living room on white linen, he was pleased in his first draft to report being attacked by an army of servants – “valet, waiters, maids, pressers, housekeeper.” Apparently, after her punishing ride in Rocinante and a week’s worth of rustic resorts, Elaine was back in her idea of lodging heaven. She preferred well-staffed English country inns to the “do-it-yourself” style of the modern American motel, where you had to fetch your own ice at the end of the hall and lug your own luggage. “My lady wife was very pleased,” Steinbeck wrote.